PhD student in the Graduate Program in Religion, New Testament Track. Roman Catholic priest, Congregation of Holy Cross. 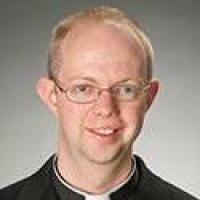 MDiv (Notre Dame, '13); MA in Mathematics (UC-Berkeley, '08); MMath (Oxford, '04). My research interests continue to evolve, but often center around the connection between the following two questions: Who did early Christ-followers think Jesus was? How did they (think about how to) live their lives? As I wrestle with questions about how Christology and praxis inter-relate, some themes I often come back to (which intersect both of those poles) are questions of ministry, leadership, and evangelization, and attentiveness to bodies which are figured as weak (a broad category that includes issues of (dis)ability, hunger, poverty, and gender). My academic work is mainly social-historical; my theological work is mainly personal and pastoral. However, these arenas intersect and I actively work to endeavor to maintain integration between them.